Come and see this charming pueblo style home. 2 large living areas well maintained original hardwood floors, and newer flooring in the kitchen and den that had a wood burning fireplace, separate dinning area and large kitchen. The good sized bedrooms all have built in storage in the closets. Now the outside living areas expand the living experience of your home. Front and back patios, the back patio is raised that over looks your well manicured grass lawn, open patio, picnic areas and garden areas. 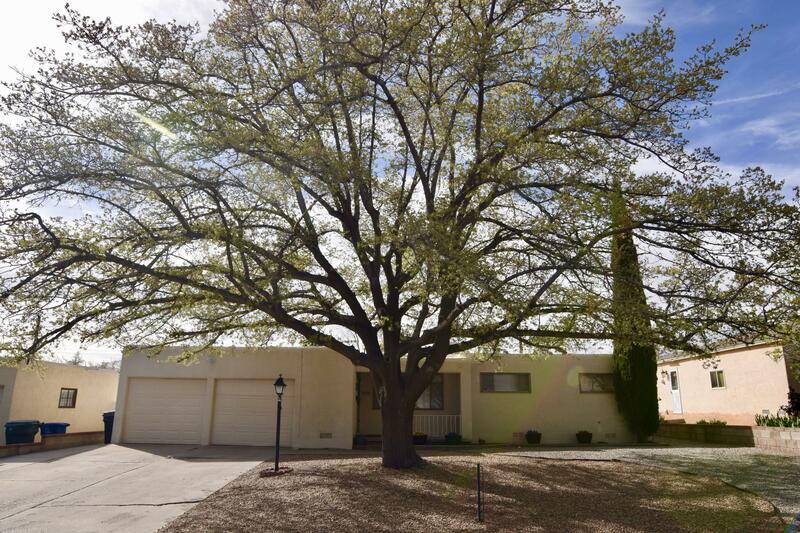 Views of the sandias and newer vinyl fencing and raised wall will give you a very private and secure feel! Roof is a month old with 10 year transferable warranty! Motivated sellers! See the home today! For more information or make an appointment to see property ID 939709.